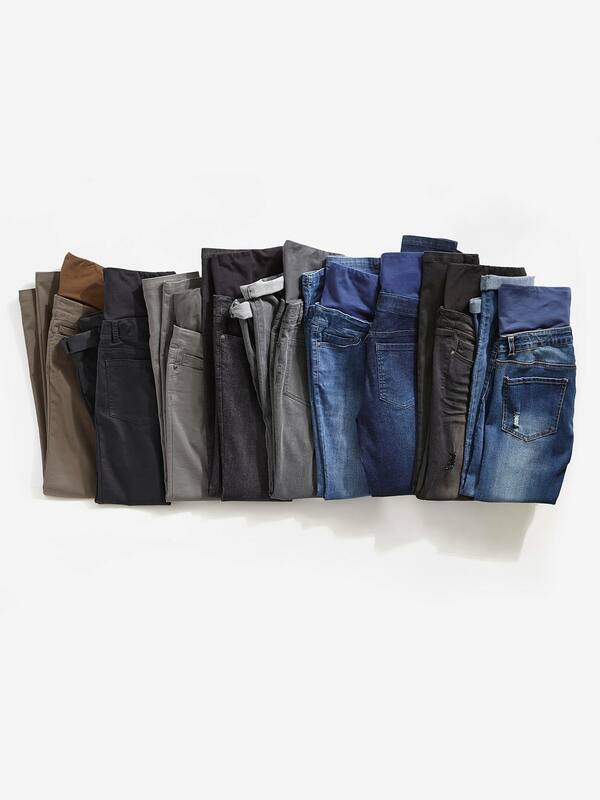 Must have slim-fit jeans for this season. We love them for their extreme comfort which adapts to your shape during pregnancy! TIP : Order your usual size before you were pregnant; our before and after clothing by Colline takes your new shape into account! Still unsure of your size? Take a look at our size guide! Inside leg approx. 30" or 78 cm. Inside leg approx. 33" or 85 cm available.